This level has hard difficulty. 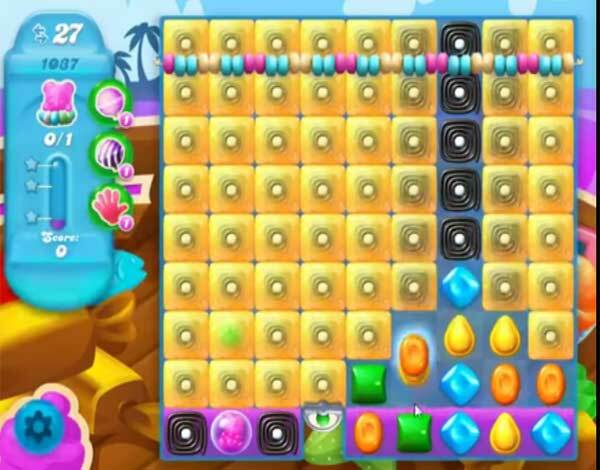 For this level try to play near to blockers and as you have more candies to play then make special candy. Combine them with each other to break more blockers or play near to bear to move it and take it to the bottom. Op video zijn er 27 levels en op mijn tablet maar 23 levels.dus ik kom wat te kort!